One of the best acts I saw at Airwaves ’14 was Lily the Kid. I saw them at Slippbarinn, where the acts were consistently good, and the beer was cold. They arrived on stage with a bundle of enthusiasm, with Lilja dancing like a girl possessed. The music is powerful, danceable pop delivered with passion and zest that makes it truly irresistible. It was hard to to believe that this is their first ever concert. Lily the Kid are actually Lilja K. Jónsdóttir, a singer/songwriter and her producer brother Hallur Jónsson. Lilja was formerly the front woman of the well known Bloodgroup. I also noticed that well known percussionist Doddi was also on stage. They produce breathy, intimate vocals over Nordic electro pop. It’s stunning stuff. 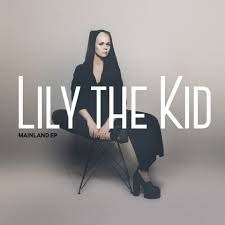 Lily the Kid’s ep, Mainland, is out now. « Airwaves ’14 – Day 4. Dancing Feet.